As any successful business leader knows, retaining top talent requires rewarding employees for great work. Why? The answer is simple: Employee recognition shines a spotlight on the attitudes, behaviors, and events that define excellence. There are many ways to acknowledge the hard work and dedication of exemplary staff but the best forms of employee recognition involve making meaningful connections that inspire engagement across the organization. This is all well and good, but what does recognition actually look like in the moment? What are some examples of employee recognition ideas that are especially creative or noteworthy? What types of recognition have the most profound impact on employees? It’s surprising how powerful the words “thank you” can be to employees. They are so powerful, in fact, that 67% of employees surveyed by McKinsey & Company rated praise from managers as the top motivator for performance, beating out financial incentives. The key, of course, is to make sure gratitude is accompanied by sincerity. A manager might, for example, want to highlight how a particular employee’s work ethic helps build and strengthen relationships with his or her team members. 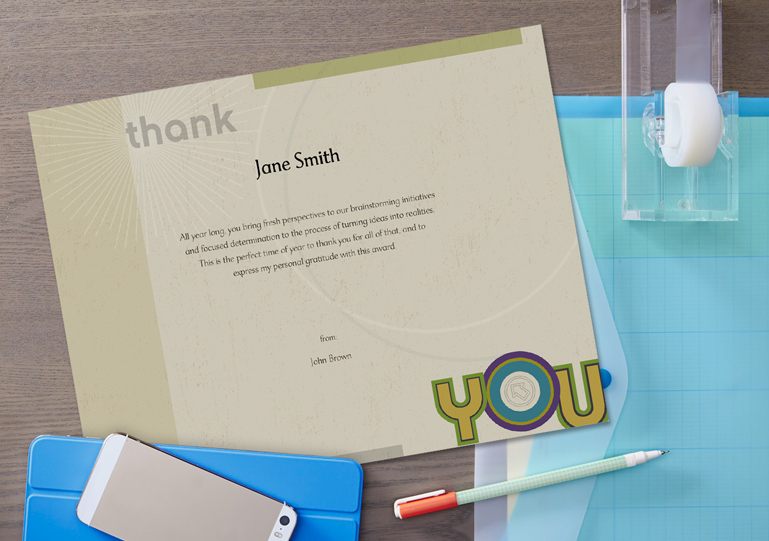 “Thank you” shouldn’t be viewed as an easy and cost-effective way to acknowledge great work, but rather as a means to establish an emotional connection that expresses how the actions of an employee make others feel. That’s where the true power of the words comes into play. Leadership can often forget that every employee, from an intern to the C-Suite, has a vested interest in the company direction and goals. As author and management expert Ken Blanchard notes, it’s vitally important for management to keep this in mind to foster employee engagement across the organization. Keeping employees involved in key aspects of their jobs and departments can go a long way toward fostering employee engagement, according to a ZipRecruiter article. Asking for employee input on company-wide improvements or how to better serve clients and offering learning and development opportunities are all ways to reward employees for a job well done. What happens when management recognizes great work? Even more great work, loyalty, and achievement. At Hallmark Business Connections, we believe that that employee recognition involves establishing a culture of sustained employee enrichment that acknowledges all the valuable contributions that move a company forward. We understand that recognition done right builds an engaged workforce that transforms company culture. The end result? Happier employees who are engaged in their work and committed to going the extra mile. To inspire employees to become truly engaged in their work, management must establish a workplace culture that celebrates individual and team-wide achievements and milestones. The above tips are just a few of the ways company leadership can reward employees for great work, both today and into the future. What has your company done to recognize employees for their hard work and dedication to the firm? What would you add to our list? We’d love to hear your thoughts in the comments section below. Freezing or caping the pay of employees who have been long term, dedicated employees , doesn’t really send a “thank you “to your employees. Just some thoughts for you to keep in mind. Thank you for reaching out to us. We are very sorry about your family member’s negative experience at the Liberty distribution center. The tenets you shared ring true; we must remember this with all employees despite location or tenure. We are passing this comment along to Hallmark Cards directly. Both Hallmark Business Connections and Hallmark Cards take the welfare of our employees seriously. If there is anything else I can do to help, please email me directly at lisa.oster@hallmarkbusinessconnections.com. Also, please thank your family member for their many years of service to Hallmark.